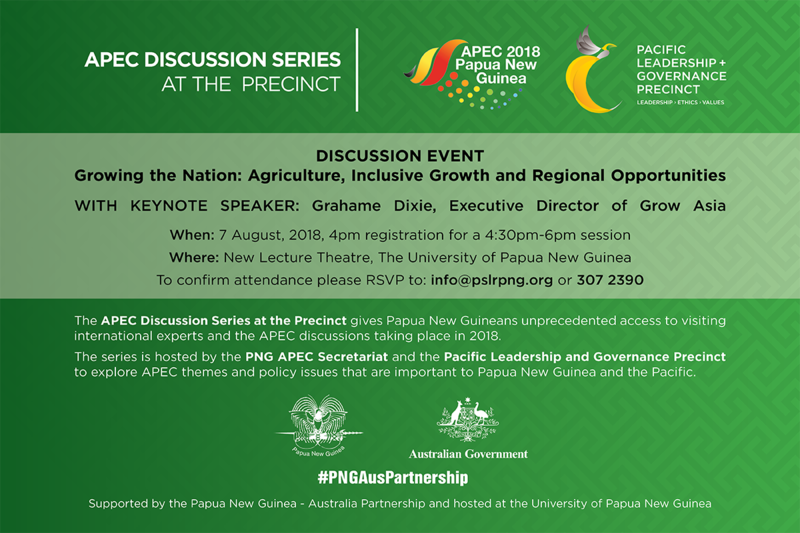 The APEC Discussion Series at the Precinct will continue next week with a discussion themed: ‘Growing the Nation: Agriculture, Inclusive Growth and Regional Opportunities’. The event will be held at the University of Papua New Guinea’s New Lecture Theatre on Tuesday 7 August, with registration open from 4:00pm for a 4:30pm-6pm session. The event will feature a keynote address from Grahame Dixie, Executive Director of Grow Asia, a multi-stakeholder partnership platform that catalyses action on inclusive agricultural development in South East Asia.